We’re at the end of June and I almost missed the #TwelveLoaves party. I had another recipe failure last week otherwise I would have posted this last week. It’s another addictive and sweet Monkey Bread. Last week the bread was undercooked and didn’t hold the shape of the bundt pan after it was inverted onto a plate. I revised how many cherries I used and a couple of other minimal changes. So now I have a delicious recipe to share with you. This recipe is gooey, addictive and delicious. The cherries negate all the sugar and butter – right? Each dough ball has cherry in it. You can see the layer of cherries in the middle of the ring in the picture below. I used the red cherries in the recipe and the white and blush colored cherries are Rainier cherries and they are so sweet. I’ll be making this again for the 4th of July. What will you make? Step 1: For the dough: Mix the milk, water, melted butter, sugar and yeast in a two cup measure. I used a microwave safe glass measure and heated the milk and water at full power for 1 minute, 20 seconds to reach 110 degrees. In the bowl of a stand mixer, add the flour and salt. Using the dough hook attachment, start the mixer on low. Add the milk mixture slowly. Scrape down the sides of the bowl as needed until the flour is incorporated. Increase the mixer speed to medium (raised my KA to the 5 setting) and let it knead for another 6 to 7 minutes. If the dough looks overly wet, add 2 tablespoons of flour at a time and continue mixing until the dough forms a mass. Spray a large bowl with cooking spray. Transfer the dough to the bowl and spray the dough also. Cover the bowl with a clean dish towel and use my tip below to aid the rise. Let the dough rise until doubled. If using my tip, it will double in 45 to 60 minutes. For this version of Monkey Bread, I let it rise for 60 minutes using my tip. If not, it may take 1 to 2 hours. Step 2: For the coating: As the dough rises, combine the brown sugar and cinnamon in a bowl. Place the melted butter and Kirschwasser in a small bowl. If you would like to dial back the sweetness and gooeyness of the recipe, use the lesser amounts of sugar and butter. Set aside. Pit and halve 32 cherries. Pit and roughly chop 8 cherries. My 40 cherries weighted .75 of a pound. Step 3: For the shaping the dough balls: Sprinkle a clean work surface with flour. Transfer the dough onto the floured surface. Spread and press the dough into about an 8 inch square. Cut the dough into 8 by 8 slices with a bench scraper or knife. This will give you 64 pieces. Shape each dough ball around half a sweet cherry and shape into balls and place back on the counter. Repeat with the remaining dough balls. Step 4: Spray the bundt pan with cooking spray. If any of the dough balls have reopened, pinch them together to fully enclose the cherry and create a uniform ball shape. Dip each dough ball into the melted butter mixture individually and let excess drip back into the bowl. Then roll them in the brown sugar mixture until they are well coated. Place the dough ball into the bundt pan. Layer the dough balls so they are offset and the dough ball on top is placed on the seam of dough balls below. Repeat preparing the dough balls until about half are in the pan. Sprinkle the chopped cherries on top of the dough balls. Continue preparing the dough balls and layering them on top of the chopped cherries until they are all in the pan. If there’s any remaining melted butter mixture or brown sugar, set aside. Step 5: Cover the bundt pan with a clean dish cloth or plastic wrap. Let rise until puffy and until they are about an inch or two from the top of the pan. Mine rose to the top of the pan. If using my oven tip below, let rise for 50 minutes. If not, let rise for 1 to 2 hours. If there’s any remaining melted butter, drizzle it over the top of the dough balls. If there’s any remaining brown sugar, sprinkle it over the top of the dough balls too. Step 6: Bake unwrapped 40 to 45 minutes in a preheated 350 degree oven with a cookie sheet underneath the pan. I’ve found that at least one or two dough balls try to escape during baking and the cookie sheet prevents them from burning on the bottom of the oven and causing a ton of smoke. This time I had many that escaped but the hubby loves these, so no harm done. When done the top should be browned and the coating begins bubbling a bit. Let bread cool in the pan for a maximum of 10 to 15 minutes. Any longer and it may be difficult to depan. Invert bread onto a large plate. Step 7: For the Icing: While the dough cools to almost room temperature, add butter and mascarpone cheese to a large mixing bowl. Beat 2 minutes. I beat them on high using a hand-held mixer. Beat in vanilla extract, Kirschwasser and cinnamon. Mix in the powdered sugar at a lower speed (this prevents having powdered sugar everywhere). Mix in the milk. If you want a thinner icing, add more milk in teaspoon increments until you reach desired consistency. Spread the icing on top of the bread – the icing will drizzle down the sides of the dough. Serve warm or cold. Tips: If your house is chilly like mine always is and your dough doesn’t rise, you can boil a pot of water while preparing the dough and place the water and dough in a cold oven. The boiling water will create a warm moist environment in the oven for the dough to rise well. Leave the oven light on and it will add to the warming effect. I use this tip even during the warm weather months. When you post your Twelve Loaves bread on your blog, make sure that you mention the Twelve Loaves challenge in your blog post. This helps us to get more members as well as share everyone’s posts. Please make sure your bread is inspired by the theme. Have your Twelve Loaves bread that you baked this June, 2014, and posted on your blog by June 30, 2014. This entry was posted in Dessert, sweet bread and tagged brown sugar, cinnamon, Kirshwasser, mascarpone, Monkey Bread by Annamaria @ Bakewell Junction. Bookmark the permalink. Mmm this sounds so good. I love cherries. Thanks for sharing. Hello from the Clever Chicks Blog Hop! Your cherry monkey bread looks magnificent!! Nothing like fresh cherries this time of year! This looks sinful! Yum! I love monkey bread but have never had the cherry version 🙂 My kids and husband will die! We love cherry ANYthing..your cake looks amazing. Oh I love cherries and the ranier ones are best! This is a must make for sure! I love them too, especially the rainier. Monkey bread is my new obsession. Thanks. Congratulations! You’ve been featured on Wicked Awesome Wednesday! These pictures make my mouth water! Thank you for sharing!! Stop by the website to pick up your “I’ve Been Featured!” button! Heating the milk does affect the yeast. It’s what makes the yeast rise. Thanks for stopping by. You have lots of tasty monkey bread recipes! I need to make some soon. Thanks for sharing with Hump Day Happenings. OMG this looks sooo good!! 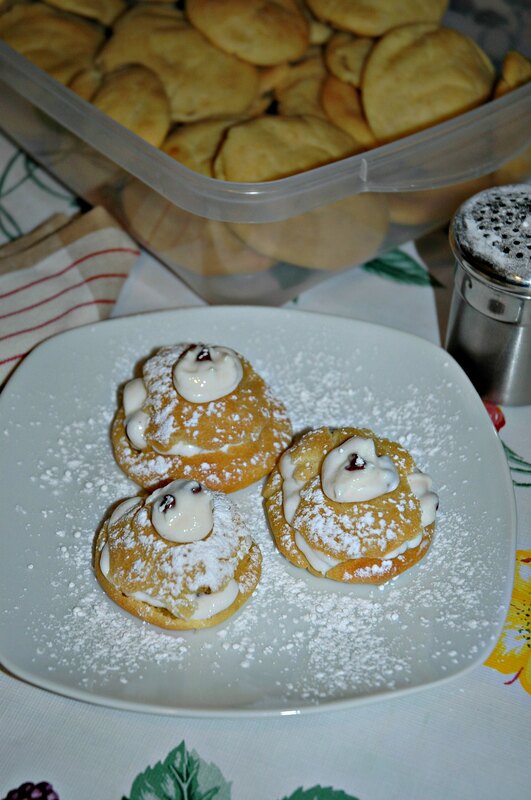 Thank you for linking up to Creative K Kid’s Tasty Tuesdays. 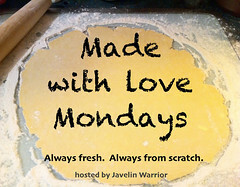 I have pinned your post (or recipe) to the Tasty Tuesdays Pinterest Board. Bookmarked and pinned! I loooooove monkey bread! This cheery monkey bread looks delicious love it. thanks for sharing with Hearth and Soul blog hop. Thank you for sharing this recipe, now I know what to do with the rest of my cherries!! 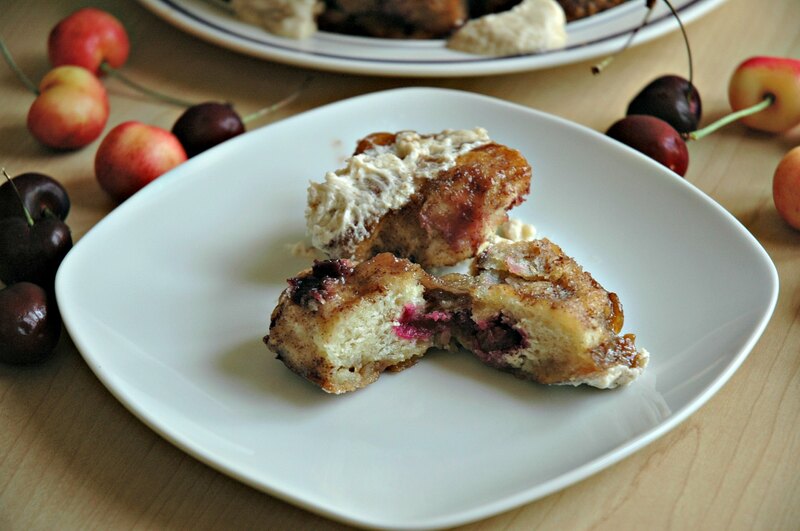 This looks amazing, I love all things cherry but I have never seen them in Monkey Bread. I adore cherries and your slices are to die for. Thanks so much for sharing with us each week. Cherries are my son’s favorite fruit. He is also a bread-lover (we call him the “Bread Man.”. I have no doubt he will go crazy for this. Thank you for sharing! Thanks for sharing at the #WWDParty and enjoy the weekend! I love the idea of adding fruit to monkey bread! So good! Thank you so much for linking up at Tasty Tuesday! Your recipe has been pinned to the Tasty Tuesday Pinterest board! Please join us again this week! Wow this looks amazing. I’ve never used cherries in bread before. Pinned. Thanks for sharing this on Merry Monday. 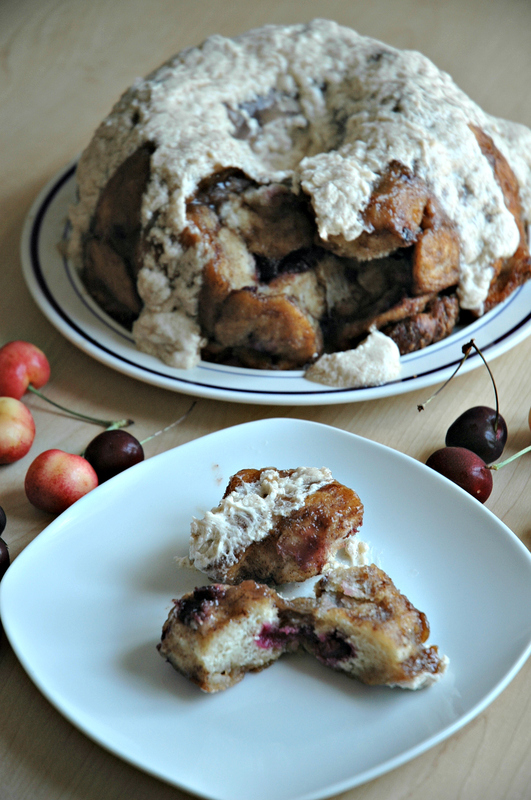 What a great summer Monkey Bread, love those fresh cherries! Hope you have had a great weekend and thanks so much for sharing with Full Plate Thursday! My sister and I have made this for years, but we have never tried putting fruit in it. Can’t wait to try some freshly picked blackberries in it. Thank you for sharing on Four Seasons Blog Hop. I’m wondering how this would taste with tart cherries…if the extra sugar and butter would help them… My mom’s got a tree full of cherries, so I don’t feel the need to buy some, but hers are tart. Thanks for sharing this on Foodie Friday! Looks delicious! I love cooking with fresh fruit. Thank you for linking with Home Sweet Home! Oh Annamaria, after reading about this cherry bread, I am going to run out and get some fresh cherries! YUM! Thanks for sharing your recipe!